2 Chirgwin Cottage is an immaculately presented mid terrace property in a quiet lane in the parish of St Sampson and just a stone's throw from the East Coast. The property is only a short walk from Delancey Park and is conveniently located close to a Co-op which can be reached by foot. The cottage is in true move in condition and the ground floor boasts open plan living. There is parking for two cars and a low maintenance south facing garden to the rear of the property which is primarily laid to lawn. 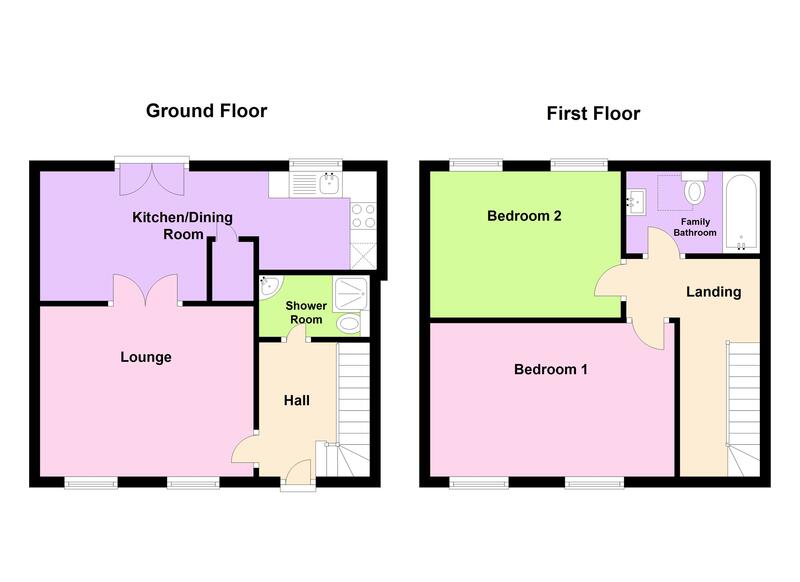 The accommodation on the ground floor comprises of an entrance hall, shower room, a bright lounge with double doors leading to an open plan kitchen/diner with doors providing access to the garden. On the first floor there are two good-sized bedrooms and a family bathroom. 2 Chirgwin Cottage would make an ideal first time buy or alternatively an excellent downsize with lock up and leave potential and early viewing is highly recommended. Call Cranfords today on 243878 to book your viewing. 11' x 8'. Appliances to include: Hotpoint Electric Double Oven and four ring hob and extractor fan, integrated fridge/freezer and washing machine. Main drains electricity and water. Electric fired Heating.